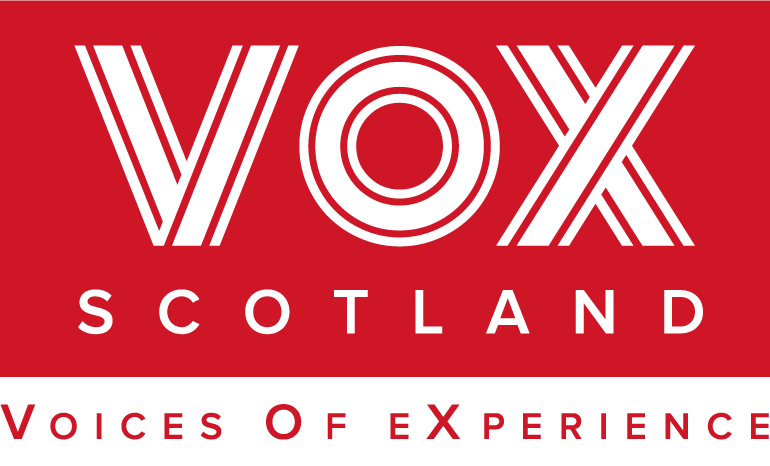 VOX is a small independent charity representing the views of people with a lived experience of mental illness. We represent our members’ views to health professionals, service providers and legislators to ensure that Scotland’s mental health laws and services reflect the hopes and aspirations of people with a lived experience of mental illness. This will lead to better services, better quality of life and better use of public money. With your help, we can have a louder voice to make sure the people in power can’t ignore us. I’m passionate about VOX and what we stand for. VOX listens to what its members want, it prioritises what its members want and it follows through on these priorities. VOX turns principles into actions – it ticks all the boxes for me. VOX is a very good mouthpiece for mental health sufferers. Its communications are concise, to the point and informative. Everybody’s made very welcome at conferences and events, regardless of their mental health issues. Mental health is THE issue and is going to become increasingly important in this century. I think things will get a lot worse before they improve and it’s tremendously important we have an organisation like VOX.